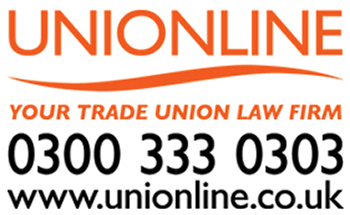 GMB London is supporting a protest against repression of trade unions in Turkey outside Downing Street today (Tuesday 15 May) at 10am as the Turkish President Recep Tayyip Erdoğan visits the UK. "Erdogan’s visit to the UK is an opportunity to whitewash his government’s dire human rights record and detract attention from Turkey’s increasingly authoritarian anti-democratic politics. Without international pressure Erdogan will continue unhindered, using the state of emergency and the anti-democratic decrees to maintain his authoritarian rule. "Union members have been dismissed en masse, trade union leaders and activists harassed and jailed, and freedom of the press all but obliterated. "The purge of public sector workers, clamp down on all democratic opposition and the media, as well as escalating military aggression against Kurdish people and regions both within and beyond the country’s borders must be stopped. "We condemn Theresa May’s failure to condemn Turkey’s unacceptable aggression both within and outside its borders in the Middle East. We call on all democratic and progressive individuals, politicians and organisations to condemn our government’s collusion in Turkey’s crimes against human rights, freedom and democracy. "Erdogan is due to meet with the Prime Minister and the Queen on Tuesday. We must make it clear that he is not welcome here and send a message to our government that collusion with Erdogan ahead of a critical presidential election that seeks to cement one party, one man rule is unacceptable. "Join us on Tuesday 15 May at 10:00am outside No.10 Downing Street to protest Erdogan’s visit. The protest will be followed by a march and rally at midday."